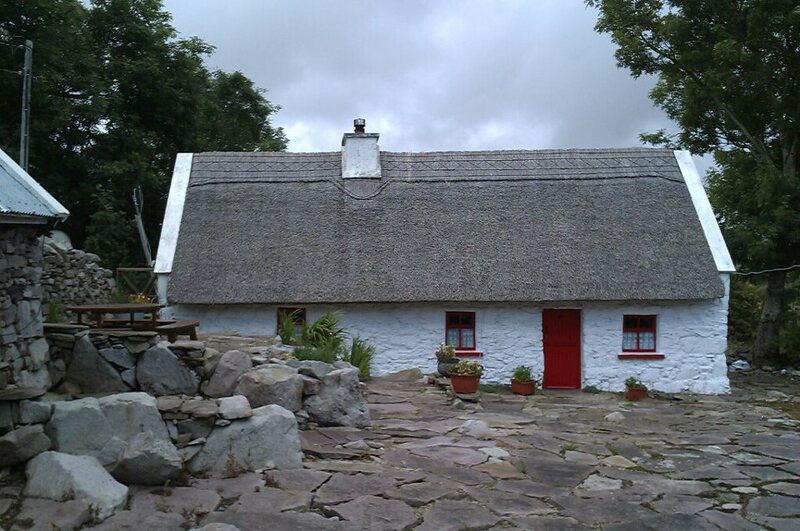 At the height of the Celtic Tiger this cottage and its stone outbuildings, near Killavalley in Westport, were derelict. All the ‘experts’ were telling the owner he should knock the old family place and build a new house. It’s surprising just how many experts emerge whenever a project is begun! Fortunately this man was determined to return the cottage and its surroundings to their former glory, with advice from the builder and the thatcher (me). Judge for yourselves whether his dedication paid off!